I’ve read my fair share of parenting books. I have 5 kids and you would think I would have figured out a few things by now, but nope, I’m still struggling along day by day. I’m always searching for that next great parenting book that will give me something new to try or something to help me stay accountable. I have a few favorites that I’ve read more than once. However, I’ve found my absolute new favorite, and it’s a book that tops them all. It’s a book that’s based solidly on Biblical principles. Scripture echoes through the pages and the ideas are practical and purposeful. 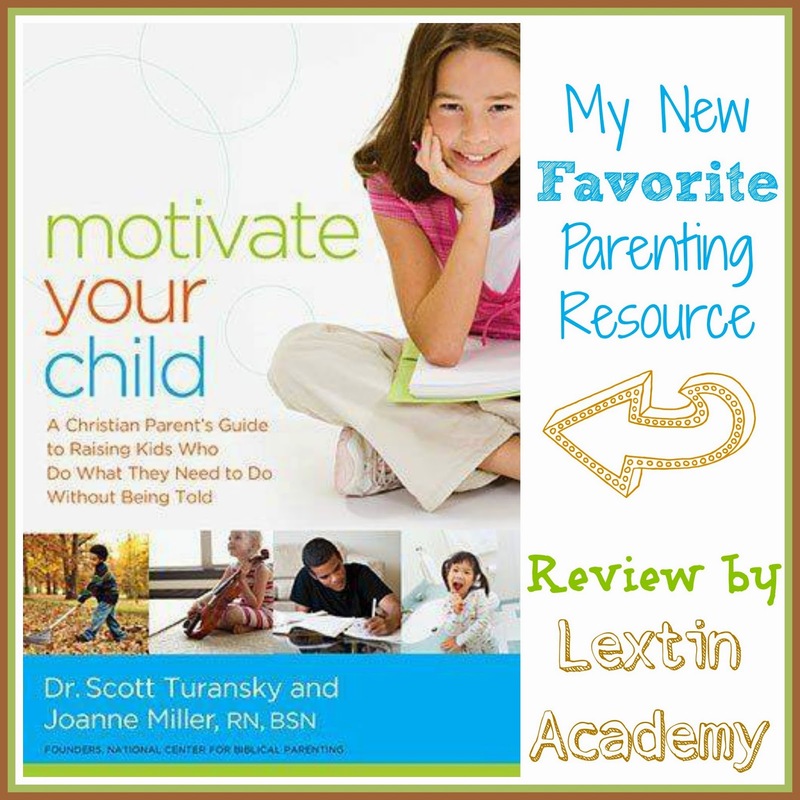 Motivate Your Child by Dr. Scott Turansky and Joanne Miller is my new go-to parenting resource. My copy of the book is filled with highlighter marks and my margins are covered in notes. In fact, I wore out a highlighter while in the midst of reading through this book. I’ve now recommended it to countless friends and I’ve set it on my hubby’s nightstand as a not-too-subtle suggestion that it should be next on his reading list. Have I mentioned that I love this book? It is one of the most profound books I’ve read on the subject of parenting. I found myself having multiple “a-ha” moments as I read about how the conscience works and techniques to foster responsibility in kids. I also may have uttered a few “amens” when I read about the role of parents in training kids through practicing proper behavior and how to apply Scripture to daily situations. After reading through the first half of the book I glanced back over my notes and immediately put some of the new concepts into practice in my house. The result? The most horrible day ever in our household. I kept telling myself that investing in this new method of heart parenting would pay off in the future. Yet, that day I was not seeing any hope. I stayed the course and kept being consistent and pointing my kids back to Scripture. By the end of the week, my kids were working together, helping with chores, and getting school work done with attitudes that were much improved. Imagine my shock (and total relief)! I could not begin to write about all the parenting concepts I’ve learned from this book. You’ll just have to read it for yourself. But I will recap a few of the techniques that I’ve already begun to implement in my home. 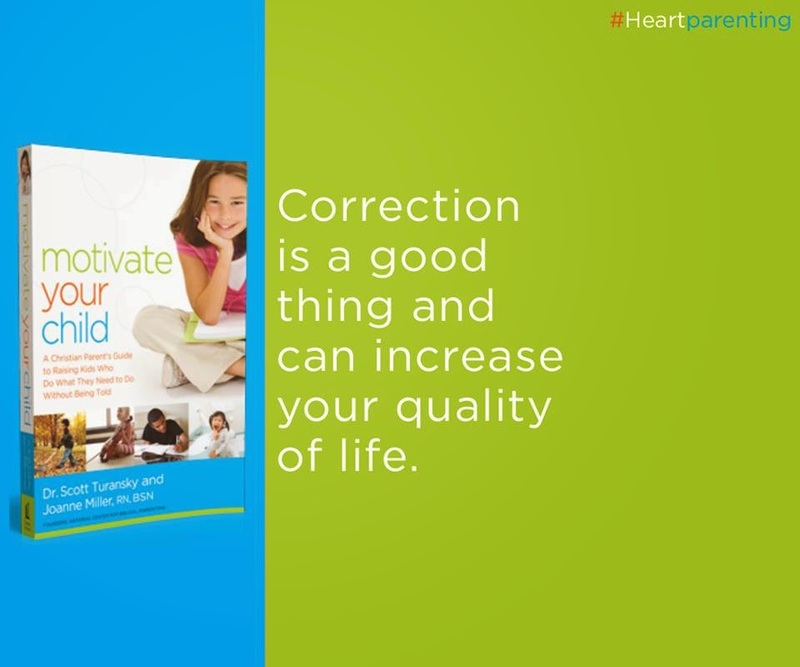 This book aims to help you parent by teaching your children internal motivation and parenting in a way to reach their inner heart and not just affect behavior change. In our house we have begun to encourage the kids to do a “blessing task” which is a job that is done without being asked. This job or chore is completed to bless another person. I explained this concept to my kids and they were immediately filled with ideas of how to help others. On one very rough day, I asked one of the girls to do a few things and then end her chore time with a blessing task that should be a surprise for one of us. I was busy dealing with a discipline issue with another daughter. There were many tears and much frustration. After a few minutes my other daughter popped back into the room to let us know that she had cleaned off her sister’s dresser. The moment that my upset, angry, and frustrated girl heard the news and smiled at her sister will be forever imprinted on my heart. Her attitude did an about-face and she thanked her sister for cleaning in her room. Since that day, my kids have looked for many ways to think of others instead of themselves and do chores that are above and beyond what have been asked. I have committed to ending each discipline time on a positive note. We discuss what the child went wrong, talk about why it was wrong, and then we talk about change. At the end of our discussion, I ask that child for ideas about handling that situation differently in the future. Together we brainstorm new ideas and then we spend time practicing the correct behavior and response. And let me say, it is sinking in with my kids and major changes have been made! Through reading the book I was convicted that my words become the inner voice for my kids. Everything I say finds its way into their hearts and their conscience. When they grow up, they will still hear my words ringing in their ears. If that doesn’t scare you, I don’t know what will! So, I committed to finding ways to encourage my kids and positive ways to state the changes I wanted to see in them. Instead of always telling them what I don’t want them to do (Don’t hit your sister! Don’t talk that way!) I try to say the words that I want them to always remember (Be kind to others. Talk in a way that honors others). After reading this book, I have journal pages filled with new ideas that are based on Scripture. I’ve committed to parenting in a way that is Godly and that creates a culture of honor in our house. I’m so thankful that this book was the first book that I’ve read in the new year. It is setting the tone for a new atmosphere in our home and I’m learning what it means to reach the hearts of my kids and motivate them to want to do the right thing. 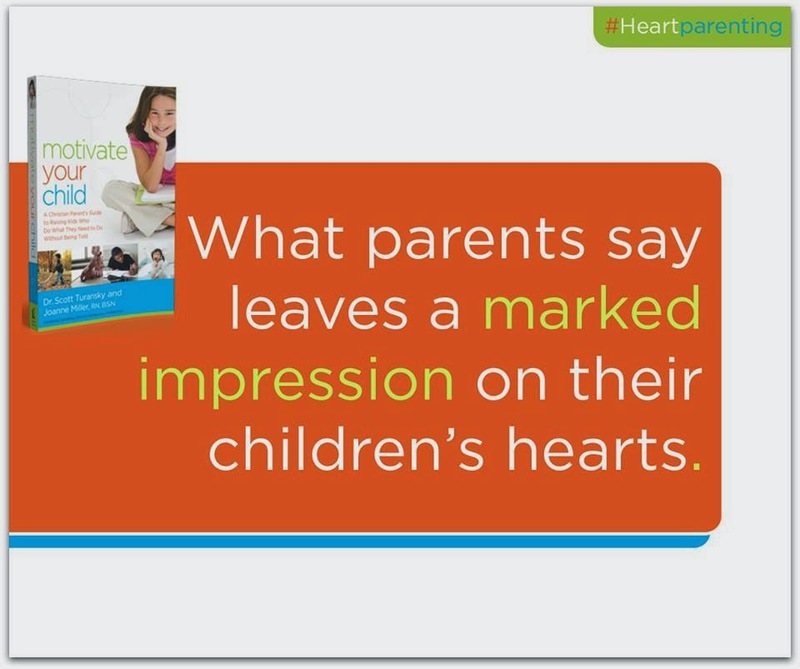 That’s what heart parenting means. This sounds wonderful Lexi! What a blessing!